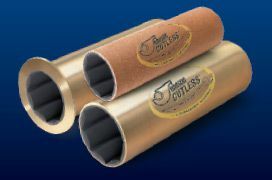 Duramax Plate Heat Exchangers help meet lower emissions standards. 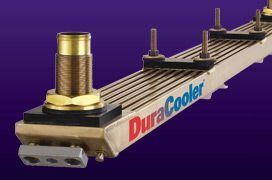 Duramax Marine offers this closed-system exchanger, flexible in design, to match a variety of cooling requirements. 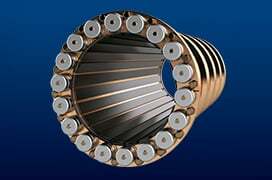 It is a custom-designed PHE cooling system where seawater and engine coolant circuits are pumped through alternating titanium plates that are specially embossed to create fluid turbulence, resulting in highly efficient heat transfer. The secret of this high-efficient cooling system. 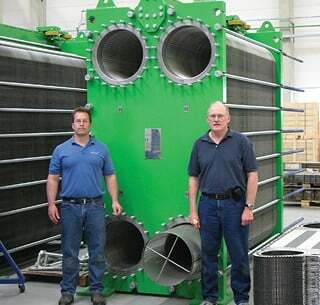 The plate heat exchanger’s special “off-set” design with asymmetrical flow gaps. Rack mounted embossed plates are designed specifically for your engine cooling requirements in order to guarantee maximum heat transfer. 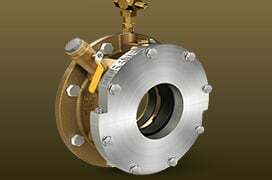 Every second plate is staggered by 180° to create a flow path for warm and cold media. It can designed as a single-pass, two-pass, or three-pass system. 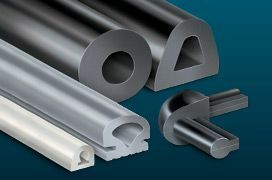 Smaller plate systems can be added to cool multiple heat sources. Not only can your main engine be efficiently cooled itself, you can easily add multiple cooling circuits for cooling other operating equipment like: generators, winch engines, air conditioning, compressors and thrusters. Costs less to operate and maintain. It has proven itself to be flexible and extremely efficient. It takes up less hull space. Because its an in-hull system its protected from impacts and damage. At anytime it can be easily added to, if you need to re-power. It is a flexible system that can meet future lower emission standards for higher horsepower engines.